23 - November - 2007 - Video's of Demi now online!! Long awaited video footage of Demi performing live, is now online for you to view! Click on the icon below marked video or Click here for video page!!! 31 - October - 2007 - DEMI ON YOUTUBE! Hopefully within the next few weeks, there will be a new music page designed, so you can view videos of Demi performing on stage. 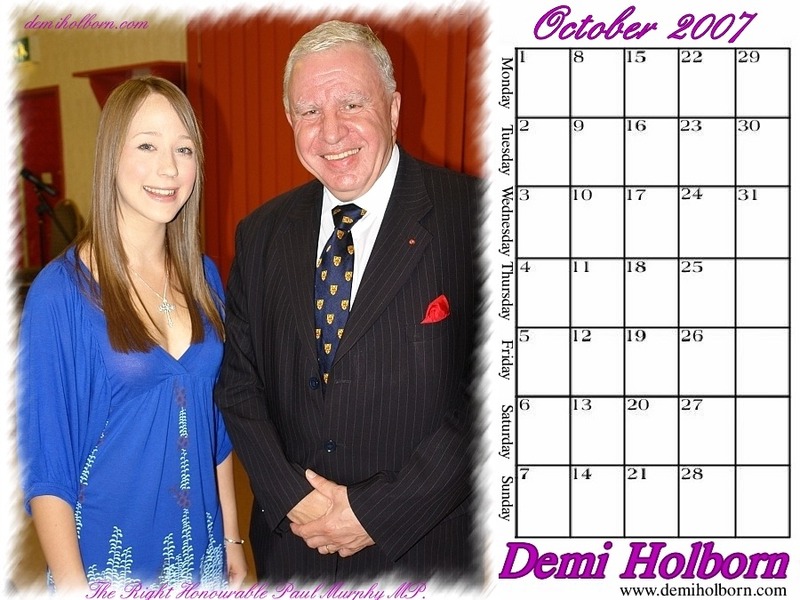 Demi's October calendar goes online. Each month a new calendar is updated and ready for download. Demi's September calendar goes online. Each month a new calendar is updated and ready for download.